On Saturday March 16 in the evening there was yet another arson attack at Fort Gilkicker. The small, temporary wooden structure added by the developer on top of the fort, to be used as a visitor lounge during marketing promotions, was set on fire by a group of Gosport youths. The fire brigade attended with several appliances and the fire was extinguished without any damage to the struture of the fort itself. 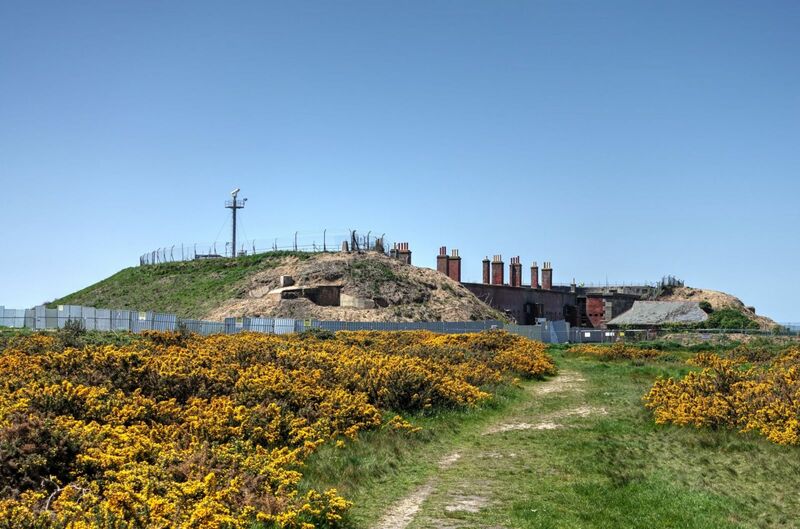 Local residents however expressed concern about the seeming lack of security at the fort to prevent such attacks and to keep local youths out of the building. 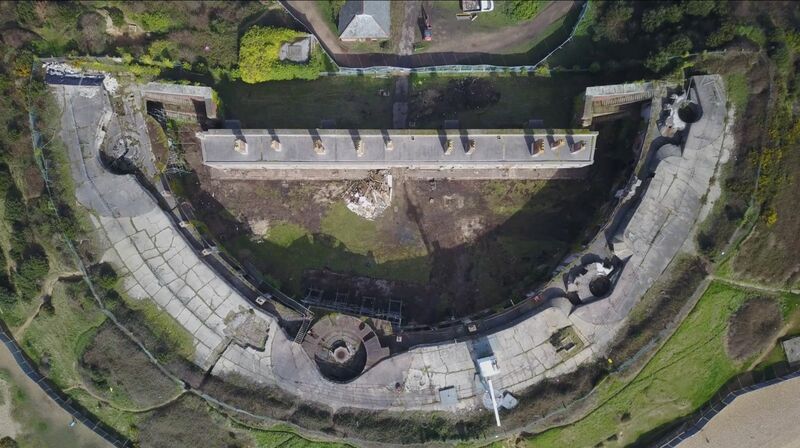 Mr Temperton of Gilkiicker Developments Ltd. stated ' As regards longer-term plans, the project has been mothballed due to problems encountered with Historic England over progressing implementation. We have no plans to re-start at present.' He is seeking a buyer for the fort after the previous financial backer pulled out due to the project taking too long. 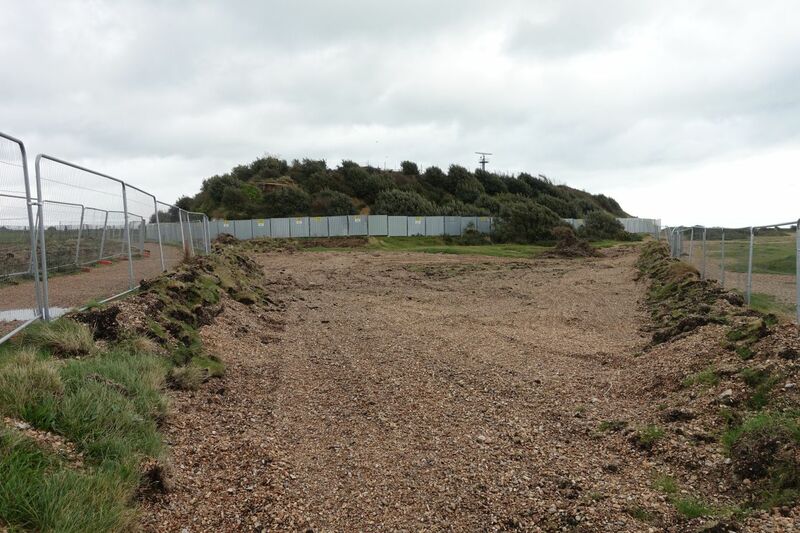 On behalf of the developers Gosport Council has cleared land around Fort Gilkicker, leveling the soil and removing vegetation gathered by the fencing to make the site easier to access and help the natural recovery of the diverse eco systems. Following advice from Hampshire County Council's ecologists it has was recommended that work takes place now to reduce any impact on sheltering wildlife. The work was supervised by the countryside team. The clearance will help tidy-up the area and large pieces of masonry on the paths have also be removed. 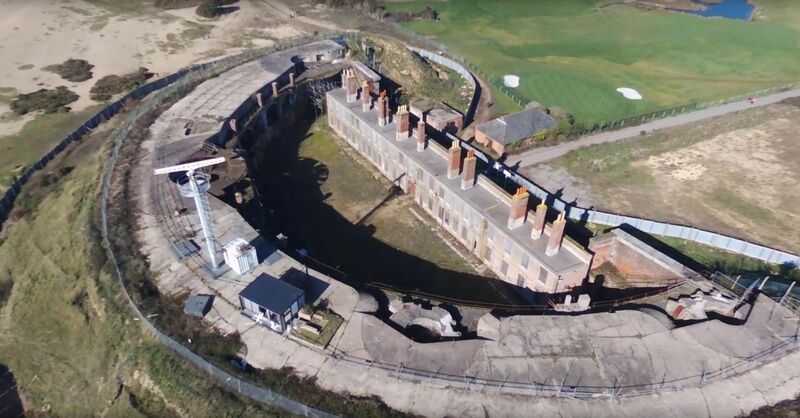 Andrew Temperton of Fort Gilkicker Developments Ltd. was reported in the local press today as saying that investors backing the Fort Gilkicker Development have pulled out of the project, leaving him with no choice but to put the fort back up on the market. Andrew Temperton said: ‘It isn’t my preference - but the investors from Malaysia see it as a very small scheme and don’t want the hassle anymore, so are moving onto other projects. Personally I am very disappointed because everything was geared up and ready to go. My main frustrations are with problems we had with Historic England and that I’m not able to see the project through to the end. I would like to be involved in restoring the fort, and if a buyer comes along that wants me there I would be happy to stay. The developer has agreed to some of the fencing at Fort Gilkicker being temporarily removed. According Mr Temperton of Fort Gilkicker Developments Ltd. work on the development is on hold due to 'a lot of frustration with Historic England at the moment, which has been very obstructive to the development.They have gone back on previous agreements and are getting in the way of the development process. There is ‘no timescale’ for when work will start up again'. The Leader of Gosport Borough Council, Cllr Mark Hook, says that the removal is expected to begin immediately. 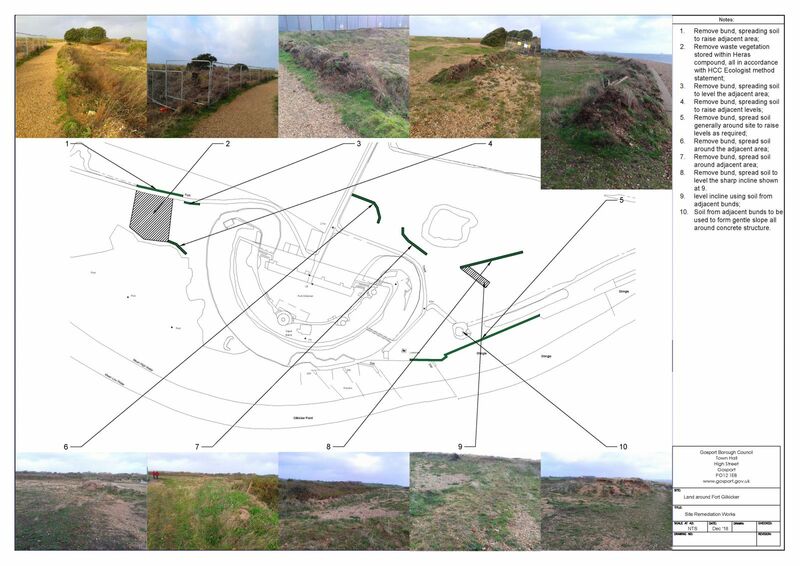 An arrangement has been made for most of the fencing around the site to be taken down while the work is suspended, reopening the land around Gilkicker to the public once again. It will be needed again when the developer resumes preparation work. Some safety fencing will still be needed on-site, to stop access to piles of cleared vegetation, with security fencing also staying to prevent any anti-social behaviour. Gosport Council have issued the following statement on their website. We have listened to residents' concerns on this. We will lead on getting the various routes around the fort made formal rights of way. The advice we've had from Hampshire County Council, which oversees rights of way, is that they have a 10-year waiting list for creating footpaths the traditional way – applying to HCC for the paths to be added to the definitive map with evidence of long use. So councillors have decided on other methods. Where we own the land, we'll enter into an agreement with HCC that would create rights of way. Where we don't own the land, we'll encourage the developer to make a similar agreement. If they were unable or unwilling to do this, we would intervene and make a special public path creation order. It's important to point out that it's in everyone's interests that the development goes ahead smoothly and is finished as quickly as possible. Creating new rights of way during development work could have a negative effect. So it would be best to arrange for new rights of way to come into effect when the development is finished.